This Michael Kors bracelet is crafted in 14ct yellow gold plated sterling silver. 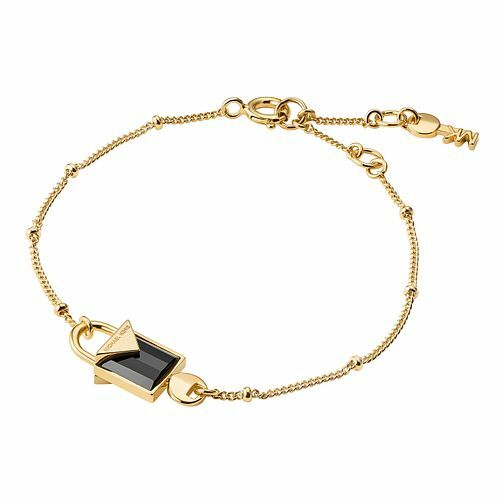 The understated design features a charming, semi precious onyx, padlock design and the signature 'MK' logo of the New York designer is carefully adorned to the bracelets clasp. Layer with other bracelets for the days when you're looking to make a fashion statement, or wear alone for a more casual daytime look.